Spectrum Productions is more than a program provider; we are also passionate about partnering with researchers to provide opportunities in participatory research settings. We seek to provide opportunities that empower autistic voices and self-advocates to steer current research in media technology or fields related to our mandate. See below for a few of the projects that Spectrum has facilitated or have been a community partner on. 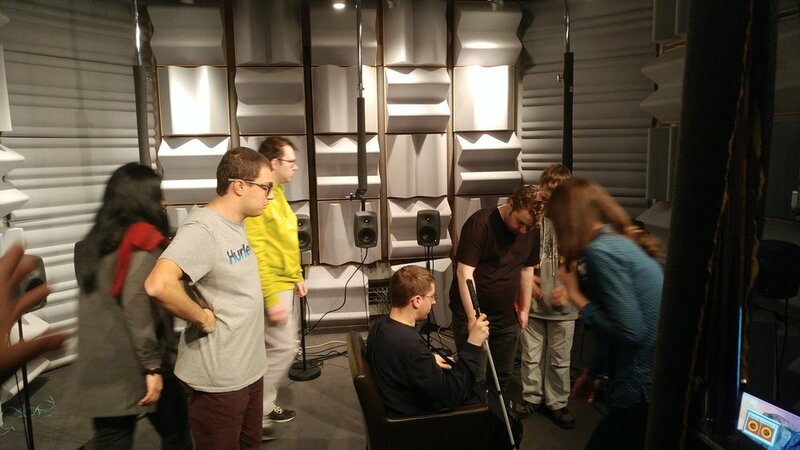 The project consists of a series of 5 participatory design workshops with Spectrum Productions, in which their members will have the opportunity to appropriate biomusic tools and apply them directly in their workplace.